A young woman dedicated to her Seppala Siberian Sled Dogs! I am 14 and live on a farm in the mountains of north Idaho. I am home schooled and enjoy raising 4-H market goats, helping out on my family's 40 acre "Thyr's Timber Top" Saanen dairy goat/timber land/Boer goat ranch on top of running Seppala Siberian Sled Dogs. I serve on the Kootenai County 4-H youth advisory board, am the vice president in the Coeur D' Alene River Valley 4-H Club and am a customer service/agent's assistant with the Mark Thyr Farmers Insurance Agency - serving MT and ID. I am currently a member of the International Seppala Siberian Sled dog Club (ISSSC) and the Inland Empire Sled Dog Association (IESDA). My family and I also volunteer weekly at a local soup kitchen. I also have an older brother and a younger brother and sister who help take care of the dogs when I'm gone at livestock shows or fairs. They are an award-winning puppy socializing team! Thanks guys! Dog sledding is "my" sport--my parents don't do it--so I've learned a lot from my mentors. I also pay for my dogs so I have learned how to be creative at times! I started out with two Siberian Huskies who quickly got too slow. 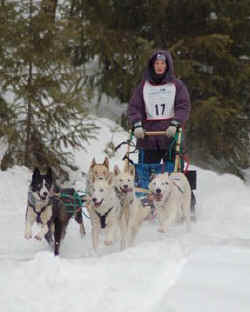 My first race was at Priest Lake Sled Dog Races in the 3-dog Novice Class. My first Seppala was Quest who is still running on my team. Since then I've bred one litter and bought a few more dogs so I currently have 11 dogs in my kennel. I have also been sponsored by the CKC (Continental Kennel Club) for the past two seasons (06-07 & 07-08)- Thank You CKC! My primary interest is 6-dog mid-distance racing. I am also looking at doing some stage racing. I would like to run 12-dog races eventually. I have had sled dogs for three years. 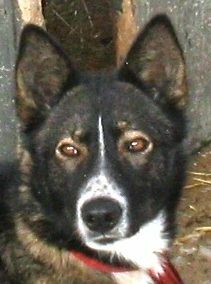 I got my first Seppala (Quest) in May 2006, but before that time I helped handle sled dogs at a local kennel and ran a 3-dog sprint race. I also had two Siberian Huskies for a while before I got my Seppalas. I got a Siberian Husky when I was 10. From then on I dreamed about training her to pull! I read everything I could find at the library on sled dogs and went to Priest Lake Sled Dog races to watch and ask questions. We lived in town at the time so I trained my Siberian to pull me up and down the street on rollerblades. I also did a 4-H dog sledding project that taught me a lot. Through 4-H I met several musher's who taught me about sled dogs and various different breeds of sled dogs. 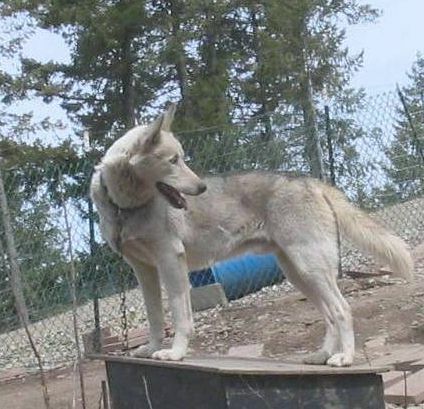 My first sled dog ride was when Jim and Suzie Malcolm invited me to take a ride on a dogsled behind six malamutes. I have been hooked on sled dogs since! My biggest mentor has been Doug Willett (Seppalta Kennels). He answered tons of questions and helped me get started with some really nice dogs. Lanette Kimball (SeppLok Kennels) has also has been a huge help answering all my questions and especially last year helping me "fine tune" my training. Thank You!! I currently have eight adults, two yearlings and one puppy. I am trying to keep small since I pay for my dogs. I think 8-10 dogs is just about perfect for a 6-dog team. My dogs have 6 ft chains and get out to play in a large yard once or twice a day. I use plastic barrels and wooden dog houses. I also have a 10 ft x 10 ft kennel for whelping/puppies. I use 3 quart bowls for water and feed. Making sure each dog has its own space and can get out of the sun and rain. I don't have to worry too much about the cold because it doesn't get that cold here and the dogs tend to sleep outside of their houses in the snow on most days. I do make sure they have plenty of bedding though. Another thing I've found out is the dogs really like having a space that is "theirs" were no other dogs can get to them. The dogs have free access to water and I feed once in the evening. The only time I feed twice is when I have bones which I give to the dogs in the morning. I feed 50% meat (beef or venison), 50% dog food in water with some minerals (Mainly Kelp and Redmond's Conditioner.). I have been feeding Diamond Natural's Extreme Athlete and Pro Pac High Performance since this spring but have feed Distance Dog Food, Prism Performance and Eagle Pack Power before that and had good results. Some times, if I have it, I will mix in heart, liver, tripe, chicken and tongue. I get meat scrapes and bones from a local butcher. I also have access to goat milk so I sour it and the dogs love it! I've found that the dogs don't mind a feeding out of the ordinary once in a while-- occasionally the dogs get rice or oatmeal mixed in their feed or even chicken broth, soup etc. My favorite sayings are: "Quality over Quantity," "Form follows function," and "Breed the best and leave the rest." I raise Seppala Siberian Sled dogs. I prefer Seppalas because they are a pretty uniform breed that has good drive and pulls hard. Most of my dogs are medium sized and are easy keepers. They also have very few health problems and good feet. I register my Seppalas with the CKC (Continental Kennel Club). The first thing I look for in a dog is a good front end. Then the dogs need to be well balanced. I like dogs that have a long stride and are medium sized (although I also like to have a few big dogs on the team). I like to have my dogs pretty well matched to each other in speed and size. I like dogs that are driven to run fast, pull hard and dogs that are willing to please. I like my leaders to respond to commands and be able to pick good trails when running (because some of the trails I run on aren't groomed very well). I like dogs that are always excited to go and love what they do! I like all my dogs but if I had to choose I think my favorite dogs would be my leaders named Chase and Wonder Woman. I got them as yearlings. Chase was really shy and Wonder was really outgoing. Chase was pretty much trained to lead by another leader Moonbeam (another favorite) and has become very bonded to me. One of my favorite things about Chase is that he will do anything for me! I would have never thought that he'd make a leader but he has proven me wrong by leading in all my races last year! Wonder was a "born leader" and led with Moonbeam my first year racing! My favorite thing about Wonder Woman is that she is smart and seems to know what I will want her to do before I give a command! Any dog I breed must be off a good team and have a proven record. The parents should both be well built and have good attitudes toward running. I free-run the pups as soon as they are old enough to go. I look for speed and desire to be in front. Another thing I like is the pup to grow pretty evenly and not have too many "awkward, unbalanced" stages as they grow. They are tethered before they go on their first run. I hook them up at about 4-6 months in a steady team with good leader (pups running next to each other) and go really slow on a mile run. By run #10 the pups should be running all the way. The best thing a pup can have is the desire to run (and love to run!) and to pull hard. Because I need to stay small, I look at the pups during free-running and narrow it down to about two pups. Then when I harness break I look at them very closely and pick one or two that seem to be the most promising. I have very demanding (up or down) trails that are pretty technical. Because of this my dogs must be able to switch leads quickly, be about the same speed down hill and be agile. I would rather over train than under train but I still must keep it fun or else the dogs get bored. This means in Oct. I will sometimes go back to 2 mile runs or take a week off. It is not ideal but I work with it and have been able to get it to work. I have learned to flexible - to change things if it is too hard for the dogs or too easy! I also add a little weight during snow training since I run an 8-10 dog team and run back to back runs frequently. I like to give all my dogs some time in lead during fall training and move the dogs around quite a bit- figuring out who is best with who and where they run best. I also try to get to 600 miles on the dogs before the first race. Once we are on the snow I still rotate them around quite a bit but try to do several different "race lineups" on the longer runs. About a week from a race I run the lineup that I will be racing on a short (5-10 mile) run. I also try to get the dogs to keep tight tuglines and a good pace the whole time- especially at the end on a 20 mile run! Getting a good base on the dogs before the snow hits. You shouldn't be doing last minute training a few weeks before the race- I learned that by experience my first year- you don't want the dogs to burn out! Also I think that you should run back-to-back runs quite a bit all throughout training - I even have run 3 days in a row and it really helps you decide who to keep if you trying to decide between two good dogs! Another thing I try to do is keep the dogs focused on running fast by not running too many slow, long runs. I use everything on my sled or 4-wheeler but I really love my flexible sled! It is so much easier to handle than a stiff sled and much safer. I try to go to races that are 20-25 miles x 2 days. I also like to go to races that have a purse. With high gas prices I also look at the traveling distance - I try to stay within 3-8 hours. 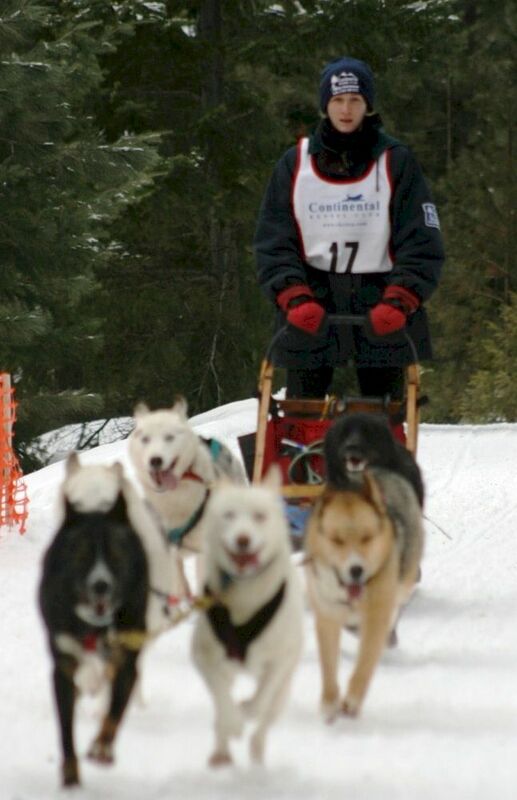 My favorite race is Conconully Snow Dog Super Mush in Conconully, WA. I would like to always get within 110-105% of the winners time at races. I would also like to run the Jr. Iditarod. I think it takes training, good dogs and good feeding- along with a good sized kennel with 3 + litters a year. And really good leaders! I think it will grow as more sports for 1-2 dogs (Canicross, Bikjoring etc.) continue to be developed. Take good care of their dogs, make sure people are educated about what sled dogs really do and how they are cared for. 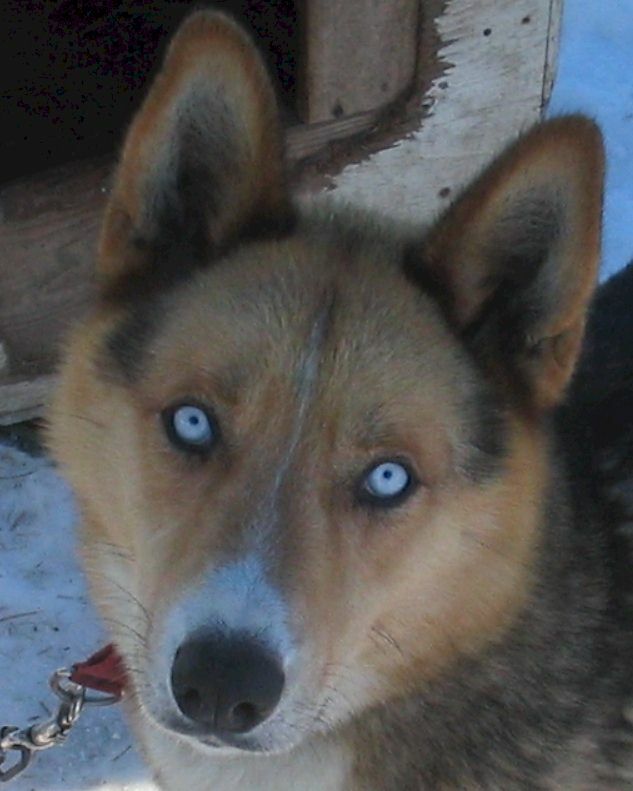 Too many people see sled dog movies and then think that mushers treat their dogs bad. Help educate the public about sled dogs and the sport of mushing -- school demonstrations, fair booths, etc. To start out with quality vs. quantity. If you have to spend a little more up front (whether it is on feed, equipment or dogs) it is worth it in the long run. I was fortunate to start with several good dogs that are still on my team - even thought I had no idea of what to look for or what questions to ask! Also finding a good mentor to answer your questions is a huge help! One of my most memorable dog sledding experiences was when we went out on an afternoon run. The dogs were really excited since they hadn't run the day before, so when my mom and I left the truck the dogs were going really fast. Moose frequent the trail so as I was looking around for moose in a small river that runs next to the trail I saw three elk were standing in a perfect line watching us. I wish I had a camera! They started running up stream, and ran along side us for about � mile. I remember thinking "if we had been on a snowmobile we would have missed the whole thing!" I would like to see more junior mushers running dogs in 6-dog classes and 8-dog events.